More than 40,000 people living in the U.S. have been arrested by federal agents since President Donald Trump signed the executive order on immigration in January. This is a 38 percent increase since this time last year. The executive order prioritized more than 8 million undocumented people for deportation. This 8 million isn’t limited to violent criminals and felons but families and children, food stamp recipients and those who have misdemeanors or even no criminal records. While Trump said his “crackdown on illegal criminals” will make the U.S. safer and Immigration and Customs Enforcement (ICE) said it prioritizes immigrants threatening national security, the January executive order opened the doors for federal immigration agents to detain anyone charged with or suspected of committing a criminal offense. Among the 40,000 people arrested and detained for immigration-related reasons was 22-year-old Claudia Rueda, a current California State University, Los Angeles and former UC Santa Cruz student. While eligible for the Deferred Action for Childhood Arrivals (DACA) program, Rueda was unable to afford the application fee of $495. This DACA status would grant Rueda legal protection to remain in the U.S. But it is unclear now whether Border Patrol will take her eligibility into consideration. She has lived in the U.S. for most of her life, according to the Los Angeles Times, and has demonstrated a fierce commitment as an immigration activist and to her education at California State University, Los Angeles, where she focuses on Latin American studies. But even so, children of undocumented immigrants who are eligible for DACA are not always guaranteed protection. Daniel Ramirez Medina, 24, was detained by federal agents for six weeks because of tattoos that supposedly represent gang affiliation and an alleged admission of gang involvement, although Ramirez denies this. Despite “dreamer” status, Ramirez was arrested in early February in a Seattle suburb after federal agents broke into his apartment and arrested his father. People in the U.S., with or without documentation, do not deserve to live in constant fear, especially if they have no criminal history. The detention of immigrants like Rueda and Ramirez, who were brought to the U.S. as children, is especially immoral. American immigration policy needs to take a long, hard look at the damage it is causing. Whether or not the courts decide the U.S. Border Patrol retaliated against Rueda, detaining her sends the message that U.S. immigration policy is dangerously changing. 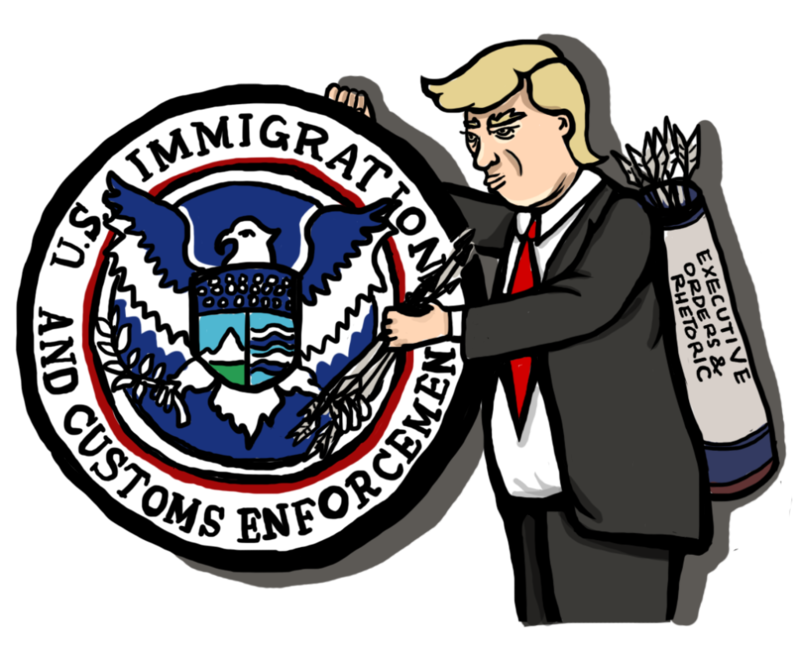 President Trump’s rhetoric and executive orders have opened the deportation floodgates and allowed for local law enforcement agencies to enforce federal immigration law on a greater scale. It’s more important now than ever to support and engage in activism like Rueda’s. We must demand the release and protection of undocumented immigrants like Rueda and Ramirez. As Trump’s presidency unfolds and federal immigration law grips immigrant communities like LA and Santa Cruz, we have a duty to take action against oppressive immigration policy. When injustices like Rueda’s detention occur, we must voice our indignation and call Border Patrol agencies to demand undocumented residents be treated with respect and afforded the same civil liberties anyone else would be given — regardless of criminal history or lack of DACA status.